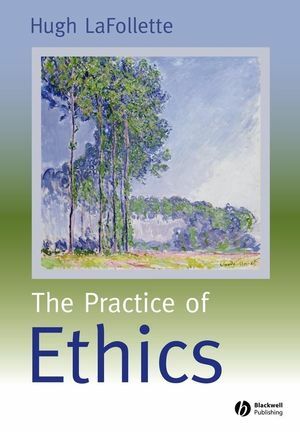 The Practice of Ethics is an outstanding guide to the burgeoning field of applied ethics, and offers a coherent narrative that is both theoretically and pragmatically grounded for framing practical issues. Discusses a broad range of contemporary issues such as racism, euthanasia, animal rights, and gun control. Argues that ethics must be put into practice in order to be effective. Draws upon relevant insights from history, psychology, sociology, law and biology, as well as philosophy. An excellent companion to LaFollette's authoritative anthology, Ethics in Practice: An Anthology, Third Edition (Blackwell, 2006). Hugh LaFollette is Marie and Leslie E. Cole Chair in Ethics, University of South Florida, St. Petersburg. He is author of Personal Relationships: Love, Identity, and Morality (Blackwell, 1995), co-author of Brute Science: The Dilemmas of Animal Experimentation (1996), and editor of several other volumes, including The Blackwell Guide to Ethical Theory (Blackwell, 1999) and Ethics in Practice: An Anthology (third edition, Blackwell, 2007). A theoretical yet pragmatic introduction to the burgeoning field of applied ethics. Includes an unprecedented integration of ethical theory with applied topics.